Homeschool How To: How Do I Help My Child Be Social? When I first decided to homeschool, the first question my mother, a public school teacher for decades, asked me was one that I believe most homeschooling parents get at one time or another. What about socialization? Now, this will not be a post about the public schools and whether or not the socialization in them is what I want my children learning in the early or later years. This is about how homeschooling families make socialization a part of their days. Here are some thoughts on how our family makes socialization a part of our every day. I’ve also linked to a number of helpful other blog posts that address the same issue. Because we homeschool, my kids get extra time to socialize with one another. They play together, do chores together (well, they will, Strawberry is not even 2 yet! ), and learn together. Instead of helping my son with homework, my husband spends his free time helping my son learn things: how to do the dishes, how to play chess, how to put in a new garbage disposal. Ok, that last one was not something Dad was teaching, but Raisin enjoyed the time watching his dad at work. I admit, it is hard to find time for play dates like we did back in the preschool days! My son’s friends go to public school, and do not return home until after 3:30, so they are not available. My son is busy working on school most mornings. But he makes friends at our weekly co-op, where we see the same kids each week, the kids do projects together, and the kids share what they are learning with each other. Further, Raisin is in a weekly P.E. class through our local park district. These run in 10 week sessions, but that is often long enough to find a new friend. 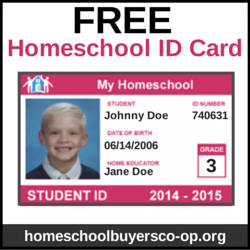 Get more information about how to start a co-op at She Knows and at So You Call Yourself a Homeschooler. 3. Stranger socialization. Because my son is with me during all of our chores together, he has plenty of opportunities for polite social contact with others. When he was in preschool, he was such a friendly soul I had to discourage him from talking to strangers. Sometimes he still resorts to stoic silence when a stranger asks him a question. Personally, I like that. There is a reason we don’t have to talk to strangers! Since he is school age, he has learned to respond politely to the questions. “Actually, I am homeschooled.” He is very comfortable talking to adults, and while he will always be wary of the complete stranger (which is good! ), he is able to find a voice in situations where it is appropriate! A Pioneer Woman Homeschooling reader asked the same question, with more than 200 responses. Why Socialization Matters on Cultivated Lives talks about what we can do to keep our kids happily social. Kris Bales is the author of the tongue-in-cheek titled Weird, Unsocialized Homeschoolers blog, so of course she has some thoughts on socialization too. Simple Homeschool has a wonderful post that reminds us that making friends is better than socialization.